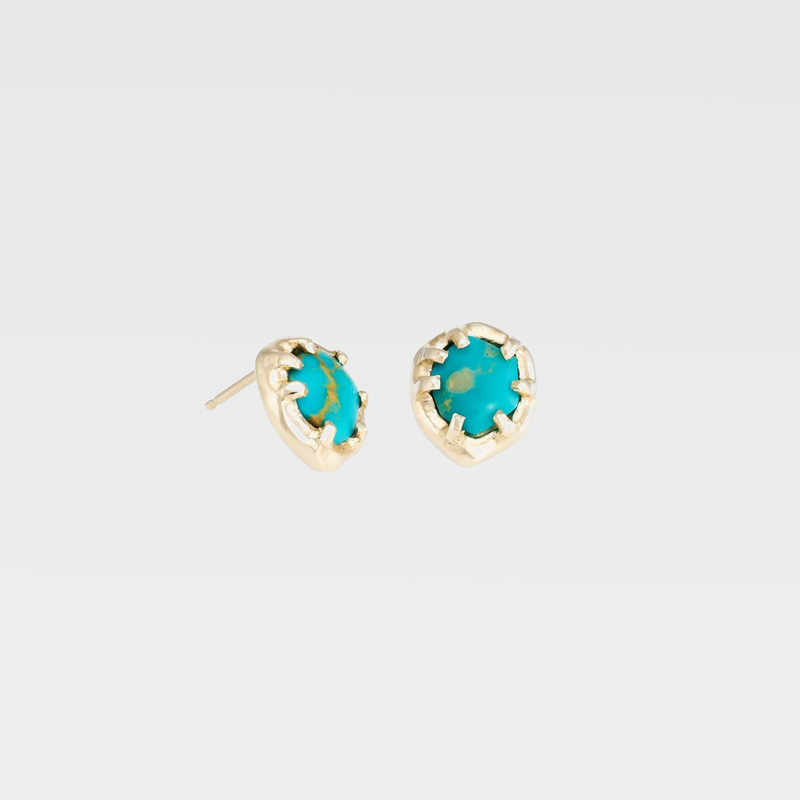 Pair of organic round shaped stud earrings in 14k gold, featuring two turquoise stones. Each pair is one of a kind because of the natural pattern difference between turquoise. Measures approximately 8 mm x 8 mm. Handmade in California.